Loving mother of Brian (Lisa) Mackto. Devoted grandmother of Aidan, Austin, and Ashton. Loving sister of Jack (Nancy) Laird, and Donna (late John) Garrity. Cherished aunt of Michael (Sheila) Garrity, John Laird, Steve (Laura) Garrity, David Laird, Mark (Sarah) Garrity and J.P. (Maggie) Garrity. Adored great-aunt of many nieces and nephews. 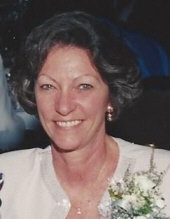 Longtime nurse at Palos Hospital and University of Kentucky Hospital. She was a proud “Honorary Kentucky Colonel”. Lying in State Thursday 10:00 a.m. until time of Service 11:00 a.m. at First Evangelical Lutheran Church, 2519 Grove Street, Blue Island, IL. In lieu of flowers, donations to Christian Appalachian Project, Attn: Honors & Memorials, P. O. Box 55911, Lexington, KY 40555-5911 would be appreciated. "Email Address" would like to share the life celebration of Linda Mackto. Click on the "link" to go to share a favorite memory or leave a condolence message for the family.